Opened fall of 2008 and has been growing ever since. Currently has 482 students. It is conveniently located within The Cottonwoods at 6064 N Silver Leaf Drive, in Mountain Green, Utah. 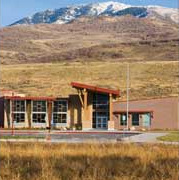 Extension is a cooperative program between Morgan County, Utah State University and the United States Department of Agriculture and is the link between Utah State University and the citizens of Morgan County. WSU offers more than 215 certificate and degree programs—the largest and most comprehensive undergraduate offering in the state. The university also offers 11 graduate degrees. Online courses, distance learning, independent study and evening classes are offered at times and places to meet the complex needs of students balancing family and work responsibilities.